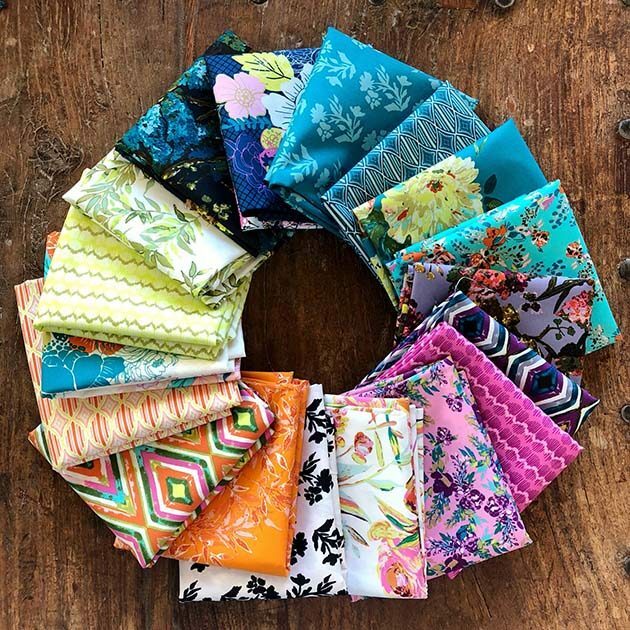 My friend Bari J just came out with a new fabric collection called Virtuosa, with Art Gallery Fabrics. It’s so pretty, I knew I had to make something with it! 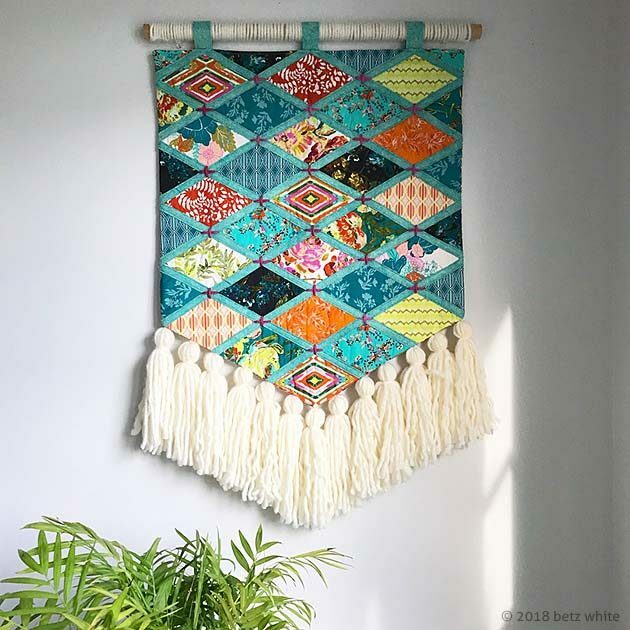 It’s got a colorful boho vibe that just begs for some yarn-y tassels and embellishments. I came up with a basic banner design based on the 60 degree diamond shape in one of Bari’s prints. 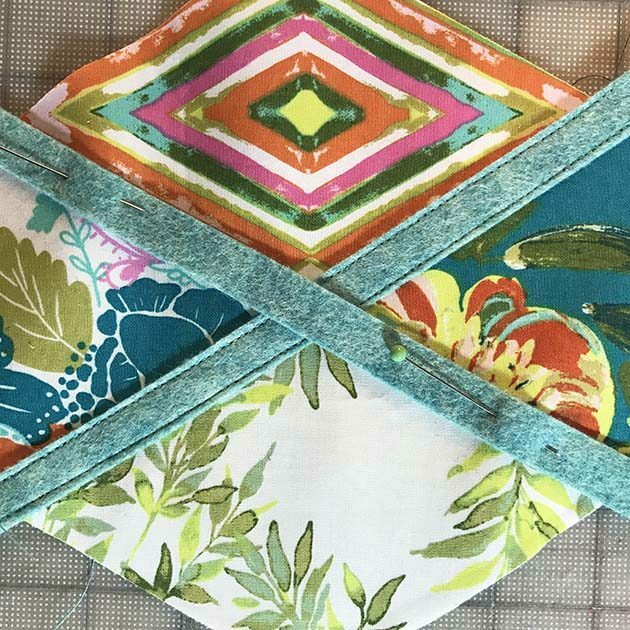 And would you believe this patchwork has no seams? Just topstitching! Here’s quick tutorial of the technique I used. 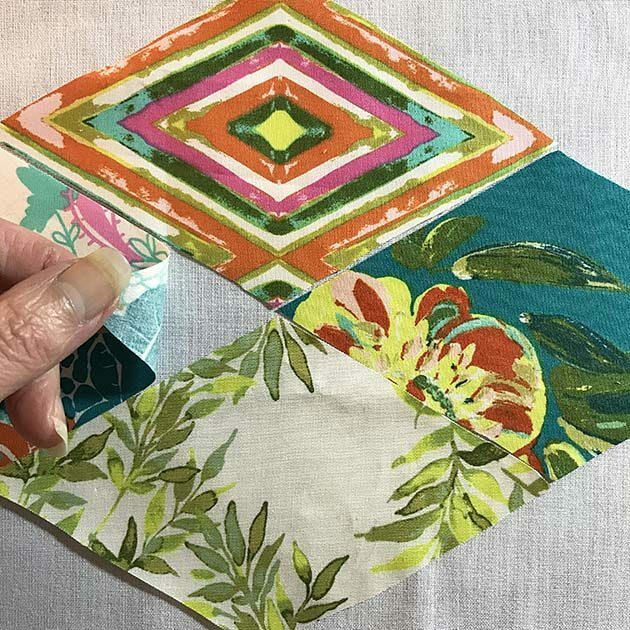 The trick is to use a fusible interfacing for the foundation. I used Pellon SF101, with the fusible side facing up. Then I placed my diamond shaped pieces right side up with the raw edges touching, and I pressed them to the interfacing with a hot iron. Next I pinned long strips of 1/2″ wide wool blend felt in a coordinating color over the raw edges and topstitched each edge at 1/16″. Then I overlapped another felt strip and topstitched it into place, concealing the raw edges of the quilting cotton. 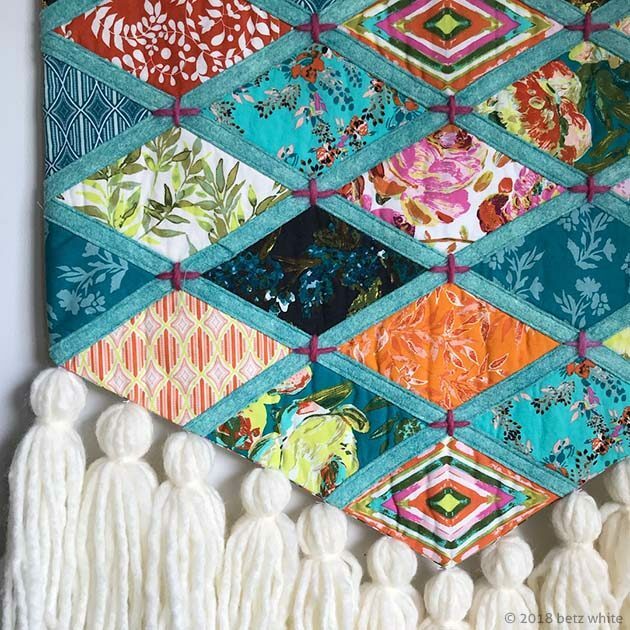 I love the addition of the felt texture, but you could totally use a bias strip of quilting cotton with the raw edges folded in instead. One more detail I added was an X of yarn, just to visually “tie” it all together, no pun intended. 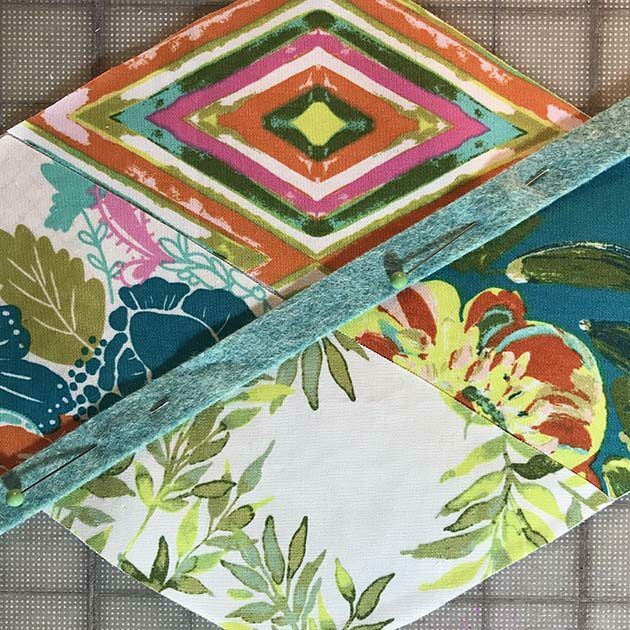 This is a great technique that can be used for so many types of projects, like mini quilts, pillows, and even bags! ***Update: I’ll be putting together full pattern instructions in the coming weeks so stay tuned for that! Did you make the tassels? Are they hand sewn on the wall hanging? Another question? Is the fusible interfacing the back or do you cover it with fabric? It’s backed with fabric. I’ve got a full pattern coming soon!